So you’ve decided you no longer want to put toxic ingredients on your skin, you want to support sustainable companies, and you believe that natural beauty products will give you the skin you’ve always wanted. You’ve made the right choice! But switching to natural products isn’t always an easy transition, even if well worth it. Here are some things to accept if you want to switch to all natural products. Drugstore products are cheaper because they are often filled with lots of water content to appear like there is more product in each bottle. They’re also cheaper because they have preservatives in them that give them long-lasting shelf lives. 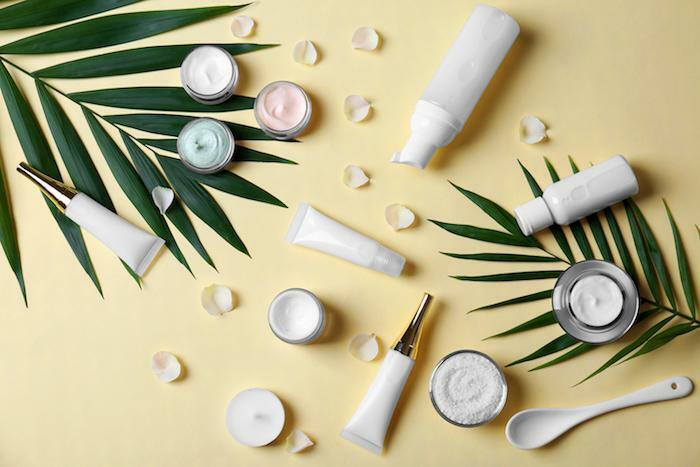 Those who create natural products build product formulas from scratch without the help of chemical preservatives, and this process is time-consuming and expensive. Sourcing natural, good-for-you ingredients is much more expensive than drugstore products. Next time you freak out about the price tag or an organic, all-natural beauty product, remember that you’re making a choice for the sake of your personal health and that of Mother Earth’s. Due to the high demand for better quality, natural products in the beauty industry, the natural beauty industry is growing rapidly. This means that now more than ever before, we can find a range in price for trusted, well-sourced, high-quality ingredients. Making the switch to natural products doesn’t mean you have to replace your entire routine with new store-bought products. Stock up on ingredients, like apple cider vinegar and coconut oil, to make your own natural products. In the long run, this is the best way to save money when going au natural. You can make a clarifying rinse with apple cider vinegar to replace your clarifying shampoo. Raw, organic coconut oil makes a great moisturizer to replace lotions and foot creams. Every time you purchase a natural product from a sustainable company, you are using your money to cast a vote for what’s right. The more people who purchase from good companies, the more we will make way for sustainable agriculture, environmental protection, the removal of harmful chemicals, and the spread of the discussion on health. Remember that cheap products with cheap ingredients don’t support or bodies or the planet, and we don’t want to cast our vote to these companies. Should You Be Using a Retinol Cream?